As an 18-year-old high school drop-out, Daniel Phillips ’00 quickly discovered the difficulty in finding employment without a diploma. After managers from both McDonald’s and Burger King in his hometown of Walla Walla, Washington, told him they did not feel someone who quit school had much potential for sticking through anything, Phillips knew he had to make a change in his life. Fueled by his interest in airplanes and the fact that it was on the same block of a fast food restaurant that rejected him, Phillips walked through the door of an Air Force recruiting office. They asked him simply, “Do you have a high school diploma?” Phillips responded truthfully, and they sent him next door to an Army recruiting office. Determined more than ever, Phillips passed his GED test and enlisted in the U.S. Army in 1986. After a few years of serving with the Army, Phillips wondered how he might advance his military career. He enrolled at the University of Maryland in 1990 and continued to take courses while stationed in Germany through 1995. 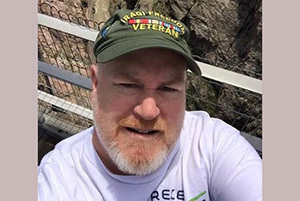 While deployed to Bosnia, Phillips received a letter in the mail informing him that he had achieved what he originally thought was impossible – he had taken enough credits to attain an associate degree in general studies. With tears in his eyes, he realized that he was the first in his family to obtain a college degree. And he was not going to stop there. Phillips was transferred to Fort Riley, Kansas, upon his return from Bosnia. He learned at the army post’s education center that he needed to declare a major to continue to receive tuition assistance, Phillips took a career assessment test to determine what careers would be the best fit, and the top result was an attorney. Undeterred, Phillips continued his quest. In having his transfer credits evaluated, he learned that every credit transferred to Upper Iowa University’s Public Administration major. Furthermore, by enlisting in the Fort Riley College Option program, the US Army granted him six months paid leave as long as he remained a full-time student. One of his first classes as a UIU Peacock was constitutional law. His success in the challenging law class along with his professor’s encouragement was enough incentive for him to reconsider pursuing a law career. Phillips graduated with a degree in Public Administration from UIU in 2000 and enrolled at the University of Houston Law Center in 2002. While in law school, he was deployed to Afghanistan with the National Guard, but returned to college and graduated in May, 2007. Two months later he was hired as an asylum officer at the Houston Asylum Office for the U.S. Department of Homeland Security. He has since been promoted to a supervisory asylum officer. Phillips’ proudest moment yet is walking across the stage at Fort Riley and receiving his college degree from UIU. 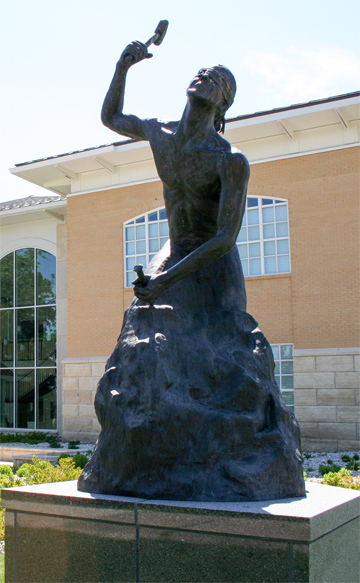 The UIU alumnus hopes to one day visit the Fayette Campus and view The Entrepreneur sculpture that stands outside the Andres Center for Business and Education. I have the pleasure to be a co-worker with Danny Phillips. He’s an amazing man who strives everyday day to do his job with honor and integrity. That’s my uncle! 🙂 He’s an amazing man!